The tiger was recovered safely and sent to a zoo in Brownsville, Texas. The cub was an apparent node in the billion-dollar trade of animal smuggling. "NOT an average day in the field," Irma Chapa, a spokeswoman for the Rio Grande Valley sector of CBP, said in a tweet Monday. 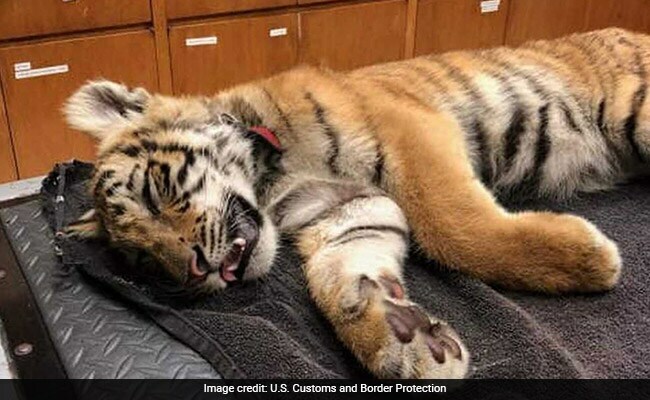 Chapa said the tiger cub is "expected to make a full recovery," and CBS affiliate KHOU reported that the cub was taken to Brownsville's Gladys Porter Zoo. Luckily for the tiger, the zoo specializes in handling endangered species. "There's a demand for exotic skin boots, and the more exotic, the more people want them," Nicholas Chavez, the southwest region special agent for the U.S. Fish and Wildlife Service, told National Geographic last year.